After issues for Thierry and Nicolas on Thursday, and on Friday for Andreas and Anders, it was our Spaniards Dani and Carlos who were struck with misfortune on the penultimate day. Contrasting fortunes for Andreas and Anders in SS9 saw them take the fastest time but the day wasn’t without its issues. Thierry and Nicolas continued to mount a recovery charge. As second on the road, it was not an easy task but they persevered to move up to seventh overall, taking stage wins in SS12 and SS13. We will now prepare for the final day of a frustrating rally with four stages left to contest. Our two remaining crews will attack a repeat loop of two stages including two climbs up to the legendary Col de Turini, and a final chance for drivers’ championship points in the Power Stage. “We started less than 15 seconds in front of Ott [Tänak] and now we have an advantage of 33 seconds so I am happy with that. “We had a really good first stage in extremely challenging conditions where we managed to take a lot of time. It was a bit trickier after that, but it’s never easy to manage the gap when the conditions are this difficult. It’s not my style to take unnecessary risks so maybe I was a bit too careful, but it’s been a good day overall. “It’s not been the easiest day for sure, but I think we can be satisfied with our performance. We saw a lot of contrasting and challenging conditions today – and the morning stages were especially difficult. With our road position considered, I think the pace was pretty good. 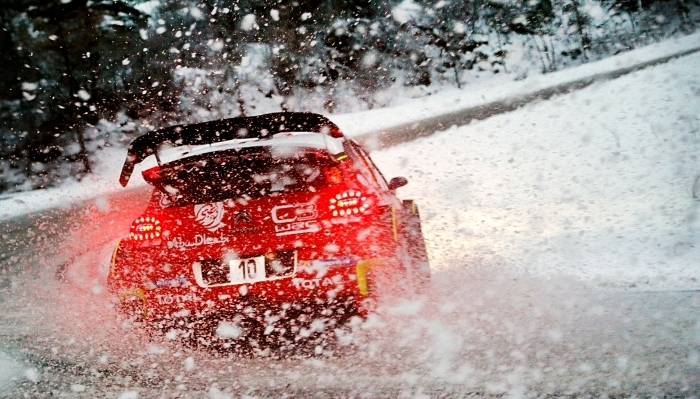 “This has been a typical day at Rallye Monte-Carlo with a lot of different and challenging conditions. It’s what makes this rally so enjoyable, and it has been a lot of fun.